It was a very interesting night. Jamie loved giving a speech and we loved eating the treats. I am so proud of our girls and the caregivers. They are so brave under such difficult sisuations. 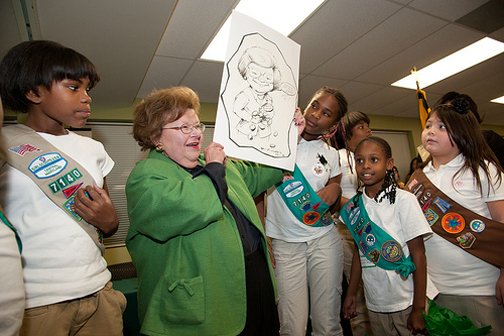 I thank the Girl Scout leadership for the care given to our girls. It takes a village and I am so happy to be a part of that village for the past 18 years. It has been a blessing to me to share my time, resources and talent. It has enriched my life.